Park West Gallery artist Dominic Pangborn has the distinct honor of creating the art for the 50th anniversary of the White House Fellows. Pangborn, a world-renowned artist based in Detroit, has created one of his famous “Art in Motion” works to commemorate the anniversary of the White House Fellows Program, America’s most prestigious leadership program. His work will be unveiled at the White House Fellows 2015 Leadership Conference October 22-23, and at a gala on October 24. The White House Fellows was founded in 1964 by Lyndon B. Johnson and John Gardner. The program offers young men and women the chance to gain first-hand experience working at the highest levels of federal government. Those selected spend a year working as full-time, paid Fellows to top-ranking government officials. “I am very proud to design and contribute my work to honor the White House Fellows, who for 50 years have served presidents, Washington leaders, as well as provided leadership throughout the country in all fields,” Pangborn says. Pangborn shares the honor of being a White House Fellow artist with fellow Park West artist Peter Max, who created the artwork for the Fellows’ 30th anniversary. “It’s not just simply doing a piece of art that is going to be on posters, this is going to be a permanent collection that is going to hang at the Fellowship offices,” Pangborn says. 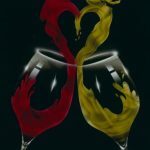 Pangborn has designed art specifically to commemorate the occasion. 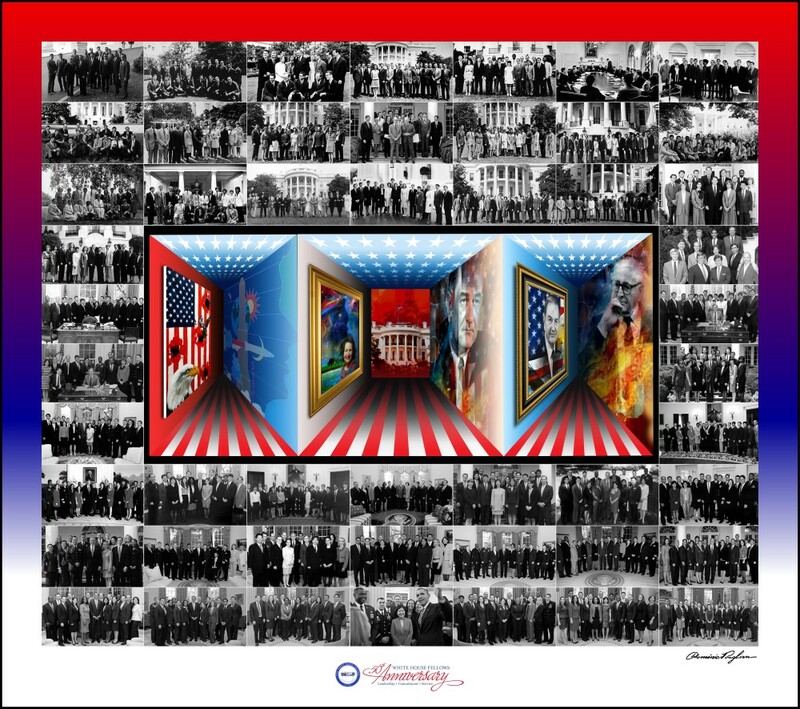 The Art in Motion – three-dimensional works that cause the optical illusion of movement as the viewer observes it – features patriotic colors and photos of White House Fellows from its 50-year history. “We thank Dominic Pangborn, one of the world’s greatest living artists, for his striking art piece as well as creating White House Fellows Leadership ties and scarves,” says Carolyn Chin, CEO of Cebiz, White House Fellow alumna and corporate board director. 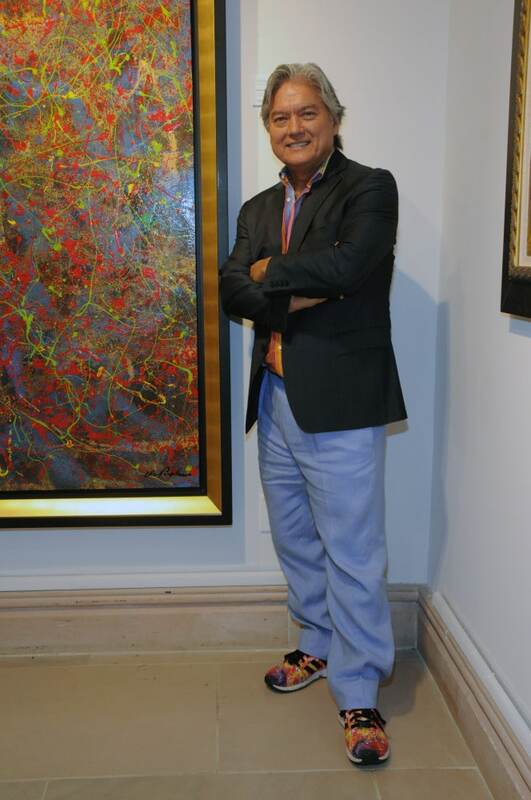 The art will be featured during the White House Fellows 50th Anniversary Leadership Conference in Washington, D.C. and also displayed at the gala dinner held at the National Portrait Gallery. Pangborn says he will attend the event, where national leaders will be speaking. He’ll also rub shoulders with giants in the business world. He says the trip will occur around his and his wife’s 40th anniversary, so it will make the celebration all the more special. “We’ll make it a part of the celebration – ‘for our 40th anniversary all of these people showed up,’” he says with a chuckle. 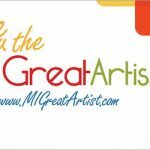 The opportunity is opening many doors for the world-renowned artist, who has a goal of exhibiting in many museums in the near future. “It’s going to be an exciting year,” he says. We are so thrilled to see Dominic getting the recognition he has so long deserved. Have long been a fan of his work, so divere it so pleases us to see this come to fruition. We treasure the works of his which adorn our wall.s. Stunning! I’m so glad to see Dominic getting such well deserved high-level recognition. He’s not just a great artist but also a great human being. This work of art is stunning. I have several of his AIMs and hope he makes one with such a patriotic theme available for sale–sign me up for the first one! We are so pleased to hear that Dominic has received such distinguished recognition. He is truly a special man, as well as an artist. 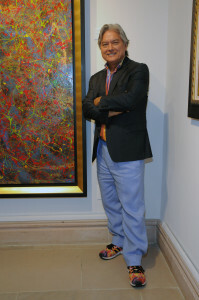 We are so pleased to have several of his works in our collection and we value his friendship. I am so glad to be a collector and friend of Dominic. Not only is he a great and diverse artist, but not a bad golfer. Love him to bits.